We are now in July, and it's time for a dose of summer pictures. 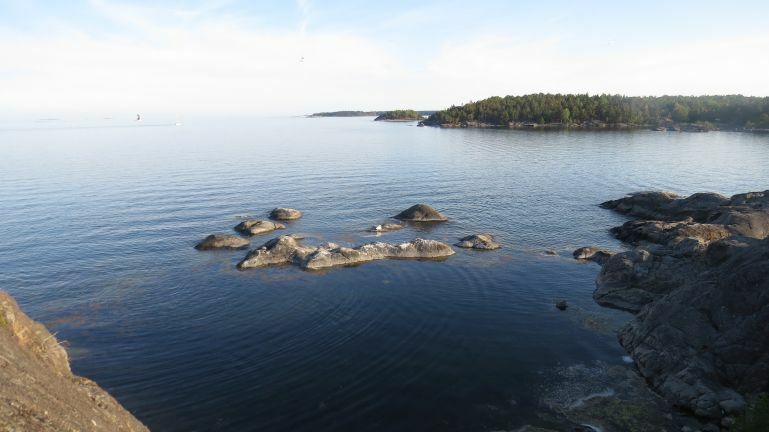 The first few are from Nynäshamn, a town some 50-60 km south of Stockholm where there are some nice views and bathing opportunities. I went there several times this marvellous summer. The city is in the middle of a narrow peninsula, and this is a few km further south.